Quality faculty and staff allow the college to build upon the already-stellar reputation and strengths of a COSAM education. Our faculty and staff offer the intellectual capital upon which strong programs, innovative research, and student success are built. As we embark on a new academic year, the college would like to extend a warm welcome to the newest members of the COSAM family. Kimberly Mulligan, Ph.D., has been named the new director for the COSAM Office of Diversity and Multicultural Affairs. Previously, Mulligan was the STEM education program advisor at the Vanderbilt Center for Science Outreach. As such, she worked in Abu Dhabi in the United Arab Emirates from 2015 to 2016 serving as a liaison between Vanderbilt University, pilot schools, and the Abu Dhabi Education Council. She also provided on-site program management and scientific expertise, assisted in the development and implementation of curriculum for the Abu Dhabi Education Council, worked with fellow scientists and teachers to design curricula appropriate for English-language learners, and aided in the development of protocols to evaluate the impact of the program and student progress. “In most K-12 classrooms science is taught through ‘cookbook’ labs,” said Mulligan. “One thing that I have always enjoyed is the opportunity to motivate students to enjoy science through making it relevant to their everyday lives. Working with colleagues and students whose first language was not English helped improve my communication skills and made me think about how to relay difficult scientific concepts in ways that were not only understandable but also relatable to issues that affected their lives. Additionally, because I worked with a diverse team of individuals from all over the world, I gained a better understanding of how to adapt to different leadership styles and form successful partnerships. Prior to serving as STEM education program advisor, Mulligan was director of the Day of Discovery program, program coordinator for the Research Experience for High School Students program, and a resident scientist in the Interdisciplinary Science and Research Program, all within the Vanderbilt Center for Science Outreach. Mulligan is or has been a member of several scientific societies including the American Physiological Society and the National Science Teachers Association, and she has received numerous honors and awards including the Organization of Black Graduate and Professional Students Distinguished Faculty Award and the Endocrinology and Metabolism Section Research Recognition Award. At Vanderbilt, she was involved in the Alliance for Cultural Diversity in Research and served as community service co-chair for Women in Science and Engineering. Mulligan received a bachelor of science and a master of science in chemistry, both from Florida Agricultural and Mechanical University, and a doctor of philosophy in molecular physiology and biophysics from Vanderbilt University. Mulligan began her tenure at Auburn University on August 1st. COSAM recently named Morgan Beadles the new Davis Arboretum curator. An Auburn native, Beadles began her tenure at the arboretum on July 1, but she was already well familiar with Auburn’s public garden. She grew up in a house in downtown Auburn, and as a child, the Auburn University campus, including the arboretum, was her playground. Following graduate school, Beadles lived in Oahu, Hawaii, where she worked for an architecture firm, Phillips, Brandt, Reddick and Associates, as a junior landscape architect. She returned to Auburn in 2009 and began working for Creative Habitats Landscaping as a residential designer. Beadles currently has several events and projects in the works, including offering tailgating packages at the arboretum for the 2016 football season. For more information on the Davis Arboretum, visit the website at auburn.edu/cosam/arboretum. The Department of Biological Sciences has hired two new assistant professors, Jamie Oaks and Daniel Warner. ﻿Jamie Oaks is an ecologist and evolutionary biologist whose primary area of research is working toward an understanding of how and why there are so many species on the planet. He utilizes patterns of variation among species, primarily reptiles and amphibians, to draw conclusions regarding evolutionary history. His work involves biogeography, phylogeography, population genetics, and theoretical, computational and applied phylogenetics. Prior to joining the faculty at Auburn, Oaks was a National Science Foundation Postdoctoral Research Fellow at the University of Washington. He has a bachelor of science in biology from the University of Wisconsin, Oshkosh, a master’s in biological sciences from Louisiana State University, and a doctorate in ecology and evolutionary biology from the University of Kansas. ﻿Daniel Warner is also an ecologist and evolutionary biologist. His research centers on physiological, behavioral and evolutionary ecology, with an emphasis on understanding how organisms, primarily reptiles, interact with their environment and how natural selection has shaped these interactions across multiple life-history stages, from embryos to adults. He utilizes integrative approaches that combine field and laboratory studies to gain novel insights into adaptive evolution. Prior to joining the faculty at Auburn, Warner was an assistant professor at the University of Alabama at Birmingham in the Department of Biology. He received a bachelor of science in animal ecology from Iowa State University, a master of science in biology from Virginia Polytechnic Institute and State University, and a doctorate of philosophy in biology from the University of Sydney in Australia. The Department of Chemistry and Biochemistry recently hired three new faculty members, Assistant Professors Evangelos Miliordos, Ming Chen and Byron Farnum. ﻿Evangelos Miliordos received an undergraduate degree in chemistry, a master’s in physical science with a minor in theoretical chemistry, and a doctorate in physical chemistry with a minor in theoretical chemistry, all from the National and Kapodistrian University in Athens, Greece. Miliordos’ research interests are in physical, theoretical and computational chemistry, and prior to joining the Auburn University faculty, he was a postdoctoral fellow in the Catalysis Center for Energy Innovation at the University of Delaware. He was also a postdoctoral fellow at the Pacific Northwest National Laboratory and Michigan State University. ﻿Ming Chen is an organic chemist whose research is in the area of asymmetric catalysis and total syntheses of bioactive natural products. Prior to joining the faculty in the Department of Chemistry and Biochemistry, Chen was a postdoctoral research associate at the University of California, Berkeley. He received a bachelor of science from Nanjing University, a master’s in organic chemistry from Brown University, and a doctorate in organic chemistry from The Scripps Research Institute in Florida. ﻿Byron Farnum is an inorganic and physical chemist whose research interests are in the area of solar energy conversion. Prior to coming to Auburn, Farnum was a postdoctoral associate in the Department of Chemistry at the University of North Carolina at Chapel Hill, where he worked in the Energy Frontier Research Center: Center for Solar Fuels. He received both his doctorate and master’s in chemistry from Johns Hopkins University and a bachelor of science in chemistry from the University of South Carolina. The Department of Geosciences recently hired three new faculty members. Assistant Professor Christopher Burton and Associate Professor Martín Medina-Elizalde were hired through a new Climate, Human and Earth System Sciences (CHESS) Strategic Cluster Hire initiative by the Office of the Provost, and Karen McNeal is a hybrid biogeochemist and geoscience education researcher who was hired as an associate professor. The CHESS cluster program is interdisciplinary and as such, is supported by COSAM, as well the School of Forestry and Wildlife Sciences, the Samuel Ginn College of Engineering, the College of Agriculture, and the College of Liberal Arts. The CHESS Cluster builds on the university’s strengths in disciplinary research in biological and physical sciences, and it leverages the work of current faculty in plant and animal sciences, ecosystems, water resources, geoscience, agronomy, forestry, geospatial science, computational science and social sciences. The new faculty hires were selected to fill crucial gaps in our understanding of the interconnected and interdependent human and earth systems, and facilitate the integration of existing expertise across multiple disciplines of participating colleges into an interdisciplinary, system-oriented program. Christopher Burton is a geographer whose research interests are in human-environmental interactions, natural hazards and disasters, social vulnerability, disaster resilience, modeling risk and vulnerability, GIS, geospatial analysis, and global environmental change related hazards. Prior to joining the faculty at Auburn he was at faculty member at Istituto Universitario di Studi Superiori’s Understanding and Managing Extremes Graduate School in Pavia, Italy. He was also a senior scientist and coordinator of The Social Vulnerability and Integrated Risk Program at the Global Earthquake Model Foundation, also in Pavia. He received a bachelor of arts in geography from California State University, and a master of science and a doctor of philosophy in geography, both from the University of South Carolina. Martín Medina-Elizalde is a geoscientist who studies climate evolution with a focus on the thermal and hydrologic reconstruction of tropical regions and their sensitivity to greenhouse gases. His research projects include: reconstruction of quaternary tropical climate variability; reconstruction of Pliocene climate evolution; paleoclimate reconstruction of the Yucatan Peninsula and Central America; paleoclimate sensitivity; coral archives of historical pollution; and climate and proxy implication of past changes in seawater magnesium and calcium. Prior to joining the COSAM faculty, Medina-Elizalde was a visiting assistant professor in the Department of Geology at Amherst College. He also served as an assistant professor at Centro de Investigacion Cientifica de Yucatan in Cancún, México, was a postdoctoral research fellow at the National Oceanography Centre at the University of Southhampton in the United Kingdom, and a postdoctoral fellow at the University of Massachusetts Amherst and University Corporation for Atmospheric Research. Medina-Elizalde studied marine biology during his undergraduate career at Universidad de Baja California Sur in Mexico. He has a master’s in coral geochemistry from the Center of Research and Advanced Studies in Merida, Mexico, and a doctorate in tropical climate evolution from the University of California, Santa Barbara. ﻿Karen McNeal is a hybrid biogeochemist and geoscience education researcher who has secured more than $10 million in grant funding during the course of her career. Prior to joining the faculty at Auburn, McNeal was an associate professor at North Carolina State University in the Department of Marine, Earth and Atmospheric Sciences. Her research interests are in the following areas: student’s conceptual model development of complex environmental systems; assessing people’s knowledge and perceptions of global change and the interaction of the affective and cognitive domains; the development and testing of programs and approaches that assist scientists and engineers in the teaching and communication of science; and the use of physchomotor measures, such as eye-tracking and biosensors, to determine engagement with climate change education and decision making materials. McNeal received a bachelor of science in marine science with a minor in environmental studies from Eckerd College, and a master’s in oceanography and a doctorate in geology, both from Texas A&M University. The Department of Physics recently hired Assistant Professor Ryan Comes. Comes was previously the Linus Pauling Distinguished Postdoctoral Fellow at Pacific Northwest National Laboratory in the Physical and Computational Sciences Directorate in Richland, Washington. His current research interests include: growth of oxide thin films grown via molecular beam epitaxy for solar energy; interfacial engineering of polar behavior in perovskite oxide superlattices; and molecular beam epitaxy growth of spinel-perovskite nanocomposite films for atom probe tomography. Comes received a bachelor of science in electrical and computer engineering and a bachelor of science in physics, both from Carnegie Mellon University. Additionally, while he was an undergraduate, Comes worked at the Space Applications Branch of the Naval Research Lab in Washington, DC. He received a doctorate in engineering physics from the University of Virginia. ﻿In addition to a new faculty member, the Department of Physics recently welcomed two new postdoctoral fellows, Eric Howell and John Schmitt. Howell received a bachelor of science in nuclear engineering from Purdue University, and both a master’s and doctorate in nuclear engineering and engineering physics from the University of Wisconsin-Madison. Howell is working with Associate Professor David Mauer and Department Chair James Hanson on the Compact Toroidal Hybrid Experiment. Schmitt received a bachelor of science in electrical engineering from the University of Wisconsin-Platteville, and both a master’s and a doctorate in electrical and computer engineering from the University of Wisconsin-Madison. Schmitt is working with Associate Professor David Maurer performing research on the W7-X stellarator. COSAM’s Office of Student Services recently hired two new academic advisors, Katy Crider and Anna Allen, and a new administrative support specialist, Malisa Hanson. ﻿Katy Crider is a first-generation college student and the first in her family to attend Auburn University, where she received a bachelor of arts in communication with a minor in philanthropy and nonprofit studies, and a master of arts in communication. Crider said she toured Auburn for the first time when she was 11 years old when she was on campus for a soccer tournament. Prior to joining the COSAM advising team, Crider was a graduate teaching assistant in Auburn’s School of Communication and Journalism and completed an internship as a health communication specialist with Health Promotion and Wellness Services at Auburn. ﻿Anna Allen was previously a COSAM Office of Student Services’ administrative support associate as well as administrative support specialist for the Pre-Health Professions Advisory Committee. As such, her responsibilities were numerous and included: greeting students and visitors upon arrival to the COSAM Office of Student Services; maintaining academic records; processing curriculum changes; managing the list of COSAM students for each Camp War Eagle session (freshman orientation); working as a liaison with the Office of the Registrar, Graduation Office, the Office of Accessibility, and the Academic Counseling and Coaching Center; and managing and maintaining resumes, applications, evaluation forms, letters of recommendation, and more for approximately 200 professional school applicants per cycle. Allen is an Auburn alumna and holds a bachelor of science in interiors and housing. Prior to joining the COSAM advising team, Allen was a pre-K teacher. ﻿Malisa Hanson is replacing Allen as the new Office of Student Services administrative support associate. Prior to joining the COSAM advising team, Hanson was the owner and operator of Sweet Malisa’s Cakes and Desserts in Opelika. A COSAM alumna, Hanson has a bachelor of science in microbiology, and before venturing into the food industry, she was a microbiologist with the Alabama Department of Public Health’s Bureau of Clinical Laboratories. 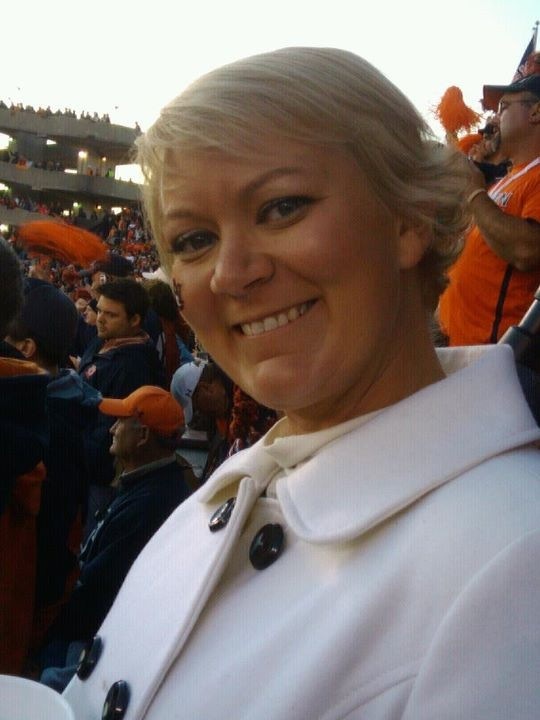 Hanson and her husband regularly attend Auburn football games and have baseball season tickets in the K-Korner. ﻿The Office of Outreach recently promoted Kristen Bond to assistant director. 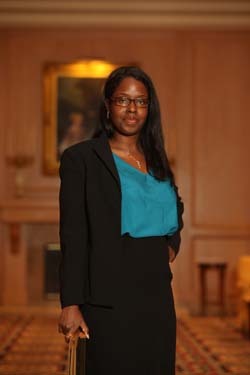 Previously, Bond was a program administrator for COSAM’s Office of Outreach, and as such she provided program management and implementation for K-12 STEM programs and events, including AU Explore, BEST Robotics, Middle School AMP’d, Science Matters Summer Enrichment Camps, Science Olympiad, and the SWSM Leadership Symposium. She also coordinated logistics and communications between COSAM staff, program volunteers, and participating schools, created marketing materials, trained and supervised staff and volunteers, and developed budgetary goals for specific programs. As assistant director, Bond will be responsible for the K-12 teacher/student outreach initiatives that are currently in place within the COSAM Office of Outreach. Bond has a bachelor of science in therapeutic recreation from Western Carolina University. ﻿Charles Eick, Ph.D., was named affiliate assistant director for the Project Lead The Way Launch and Gateway programs. Project Lead The Way is a national program that provides a transformative learning experience for K-12 students and teachers across the U.S. by stimulating an engaging classroom environment that empowers students to develop in-demand knowledge and skills necessary to thrive in an evolving world. Auburn University serves as the Project Lead The Way’s Engineering and Biomedical Science affiliate university for the state of Alabama, and the program is administered through COSAM’s Office of Outreach. As the affiliate director of the Launch and Gateway programs, Eick will oversee teacher professional development through core training and counselor conferences, as well as college-level recognition, program initiatives, and statewide and regional support and communication for the Launch and Gateway programs. Eick is a retired faculty member from Auburn’s College of Education in Science Education. He has received numerous teaching awards including the John Shrum Award for Excellence in Science Teacher Education presented by the Southeastern Association for Science Teacher Education and the Auburn University College of Education Faculty Research Award. He also received joint recognition for his work with Auburn City Schools through The Zimpher Award for Outstanding Professional Development School presented by the Holmes Partnership. Additionally, he served as regional director of the Association of Science Teacher Educators. The COSAM Office of Research has hired Courtney Thomas, the new administrative support specialist for the associate dean of research and the Cellular and Molecular Biosciences program. In this role, Thomas works as a liaison between students, faculty, and various committees and offices associated with the Cellular and Molecular Biosciences program and the COSAM Office of Research. Thomas prepares, processes and maintains multiple types of financial reports, forms and vouchers, including those reflecting resources provided by federal and state agencies. She coordinates the new student orientation for the Cellular and Molecular Biosciences program and maintains the program website and budget for Cellular and Molecular Biosciences and the Office of Research. Prior to joining the COSAM Office of Research, Thomas conducted a social work internship at Haddie’s Home in Opelika. She has a bachelor’s degree from Troy University in social work.